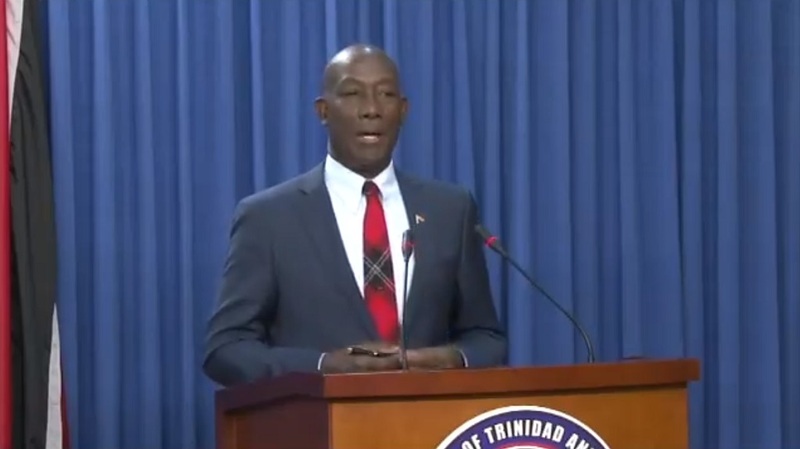 Prime Minister Dr. Keith Rowley has assured members of the Muslim community that the Government is committed to ensuring their right to protection and equal place in T&T. Dr Rowley was speaking during a meeting with Muslim leaders at the Diplomatic Centre on Wednesday when he made the statement. The Prime Minister told those gathered that they play an important role in holding the fabric of society together and encouraged them to let dignity and their religious principles guide them in rejecting wrongdoing. Minister of National Security, Communications and Minister in the Office of the Prime Minister Stuart Young, Minister of Rural Development and Local Government Kazim Hosein, Minister of State in the Office of the Prime Minister Ayanna Webster-Roy, Commissioner of Police Gary Griffith and Acting Chief of Defence Staff, Group Captain Darryl Daniel were present for the meeting.